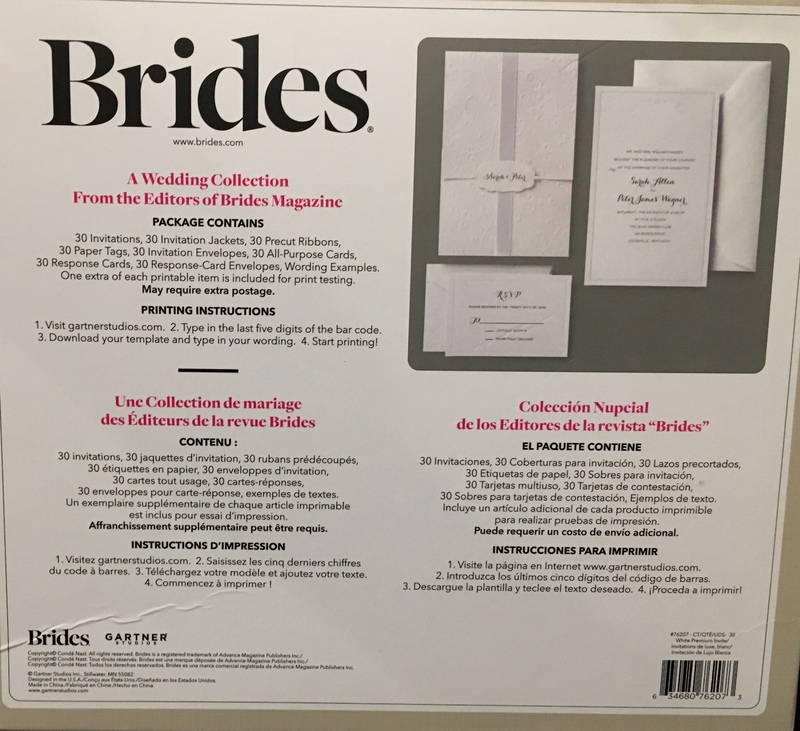 NEW 150 Wedding Invitation Kit condition: NEW, packaged in sets of 30 make / manufacturer: BRIDES Includes everything you need to put together invitations and mail as well as RSVP cards. 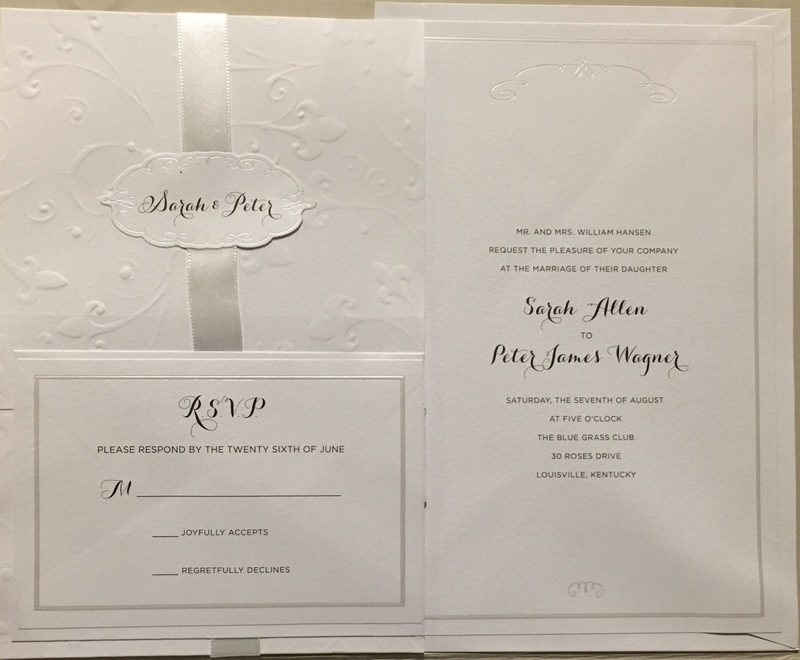 The cards have an embossed floral design with fold-over jackets tied with ribbon. 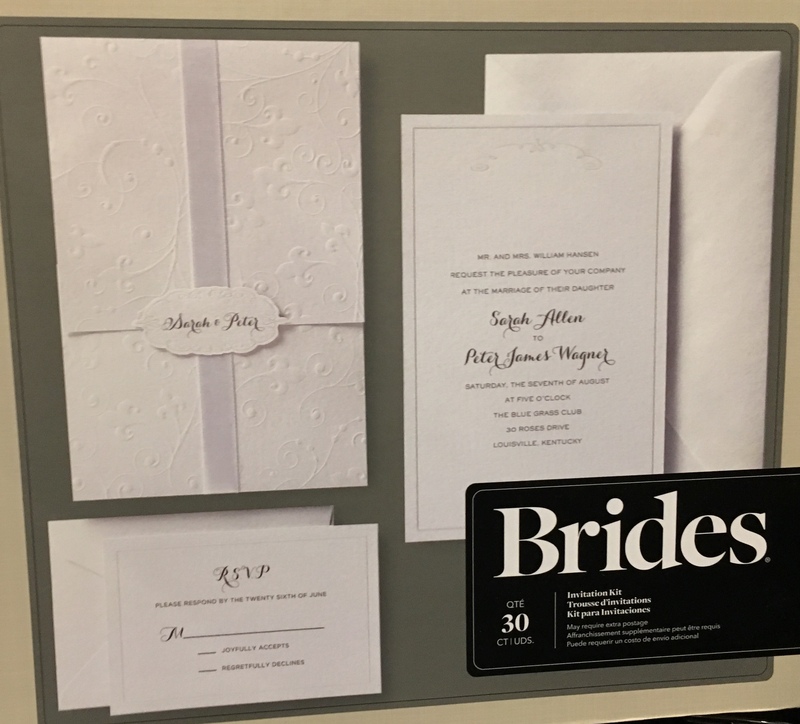 These elegant invites could also be used for other occasions like showers (bridal or baby), formal parties, etc. I bought these invitations for my wedding, but didn&#39;t use any as I ended up going with a different design. You can get a template online for printing. Happy to take a reasonable offer.